A Mothers Appeal to Her Boy. Copyright, 1889, by Geo. M. Klenk & Co.
And the humble cot where he was born. 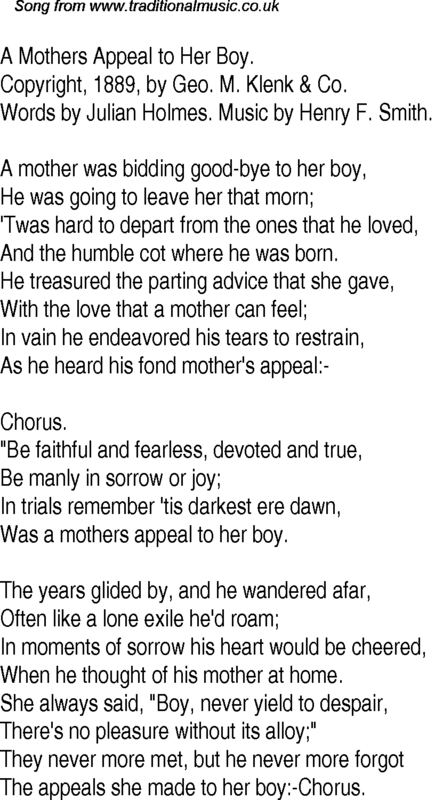 Was a mothers appeal to her boy. When he thought of his mother at home. There's no pleasure without its alloy;"
The appeals she made to her boy:-Chorus.